If you would like to do audio-only phone conferencing, please use MeetingPlace rather than Zoom. In order to use Zoom, you will need: a computer, a headset or ear buds with a microphone, and (optionally) a webcam. If your device has built in camera/speaker/microphones, these items will suffice. Click the Start a Meeting button. Enter your Xavier credentials when prompted. Click the Start Meeting button, and click Save File, then double-click the file in the Downloads window and click Run. The Zoom app will install and open. Click on Start with Video or Start Without Video as you prefer. Choose your audio options for participating in the meeting. 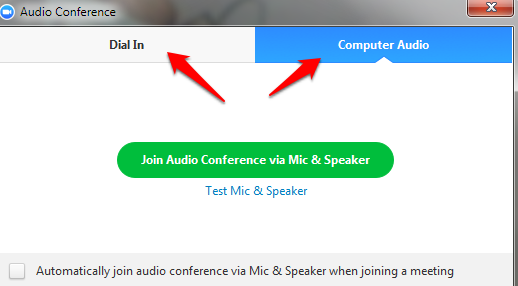 You can either dial in via phone or use a computer's built-in or attached microphone. Click Invite to invite participants to your meeting. On the Invite by Email tab, click Default Email to create an invitation using the Outlook email client. Fill in the email addresses of those you'd like to invite, and send the email message. If you do not have Outlook installed or configured, you can click the Copy Invitation button and paste the invitation's text into an email message. Invitees can click the link provided in the email to join the meeting. Open the Zoom application and click on Schedule Meeting. Type a topic for the meeting in the Topic: field. Under When, set the meeting date/start times, and whether or not it is recurring. Under Meeting Type, choose the type of meeting you wish to host. Under Meeting Option, optionally set a password on the meeting, and allow participants to join before you arrive. Under Calendar, choose a type of calendar invite to send. It is recommended you leave this as "Outlook". Click Schedule. An Outlook calendar invitation will open. Type the email addresses of your invitees in the To: field and click Send Update. If you received an email invitation from the meeting organizer, click the hyperlink within that invitation. 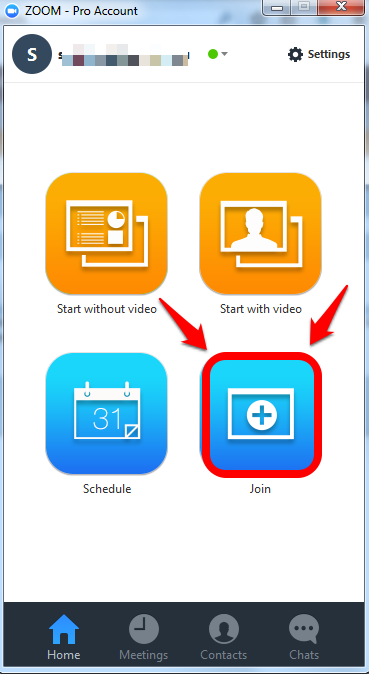 On the page that displays, click the Join Meeting button to install the Zoom app and/or connect. Go to http://xavier.zoom.us/join and enter the meeting ID provided by your organizer. 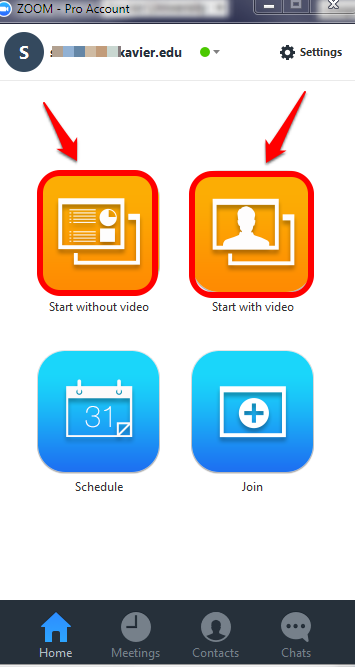 If you already have the Zoom app installed, you can launch the Zoom application, click Join, and enter the meeting ID provided by your organizer. Download Zoom app for iOS or Android. Under Sign in With, click on SSO. You will be presented with the welcome screen, from which you can schedule or join meetings. Use the buttons on the lower left to mute your audio or start/stop your video feed. Click Manage Participants to apply certain settings to all invitees. For example, you can easily mute everyone in the room if a one-way presentation is being given. Click Share Screen to show your screen to others in the meeting. You can choose to share a specific open window in an application, or your entire desktop. Click Chat to open a chat window with meeting participants. You can choose to chat publicly with everyone or privately with an individual in the meeting. Use the Record button to record a meeting. Choose to Record onto your computer or the Cloud. An indicator will appear if recording is taking place. Click the Stop Recording button when finished. If you record to your computer the recording will be converted to an mp4 file when the meeting ends. If you record to the cloud you will be emailed a sharable link after the recording is complete. In addition, cloud recordings are automatically imported into ilos for additional sharing and editing capabilities. See the ilos KB articles for additional information. To end the meeting, click on End Meeting in the lower right corner of the screen. Zoom offers FAQs and a Getting Started video on their website.